Buffalo Bills owner Terry Pegula doesn’t want to talk about the relevance of concussions in football. Concussions have proven to be damaging to one’s brain. However much the NFL might try to deny it, they are fairly common in football. This is an undisputed medical fact proven by studies. However, not everyone is ready to discuss the relevance of concussions in football. Buffalo Bills and Buffalo Sabres owner Terry Pegula sure isn’t. These six words are very rarely uttered, but the city of Buffalo deserves better. This is a moronic and ignorant statement. First of all, the relevance of concussions in the NFL has been proven. There has literally been a lawsuit and massive settlement because of the league not doing enough to prevent them. To even question the relevance of concussions is asinine. Now, to be fair, Pegula accidentally said something smart. And maybe the NFL should listen. You can get a concussion while driving a car. The car companies and lawmakers didn’t try to sweep it under the rug or deny it like the NFL. Instead, they confronted the issue head on. Laws and safety regulations make head injuries while driving far less common than they used to be. Sounds like something the NFL should be actively doing. It’s sad to hear this comment coming from an owner of a football and hockey team. Pegula has turned Buffalo into a punchline. Bills and Sabres fans deserve better than him. To say these things as an NFL owner and as an NHL owner (with a concussion lawsuit breathing down the league’s neck) is embarrassing, to say the least. Instead of pretending concussions aren’t relevant, Pegula should be looking for ways to help prevent them. Bills and Sabres fans, sports fans everywhere feel for you. 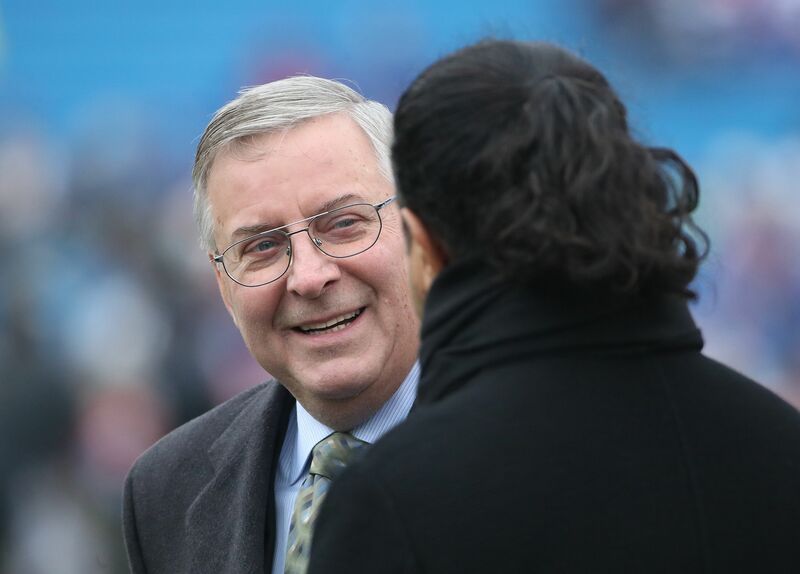 You deserve better than the Pegulas.